week. Just two! Oh darn, if only I had planned better! sweet yet tart fruit you better get them while their hot ripe! Summer doesn’t feel official without digging into a large bowl of shiny, sweet cherries. Cherry season is the highlight of the year for many, but with a short season, June through August, don’t let summer pass by without enjoying a taste of nature’s candy! With all the varieties of cherries available, there are only two common cherry species: sweet and sour. The sweet varieties of cherries are the most common and include Bing and Rainer cherries. Sour cherries, sometimes called tart or pie cherries, include Montmorency and Morello cherries. 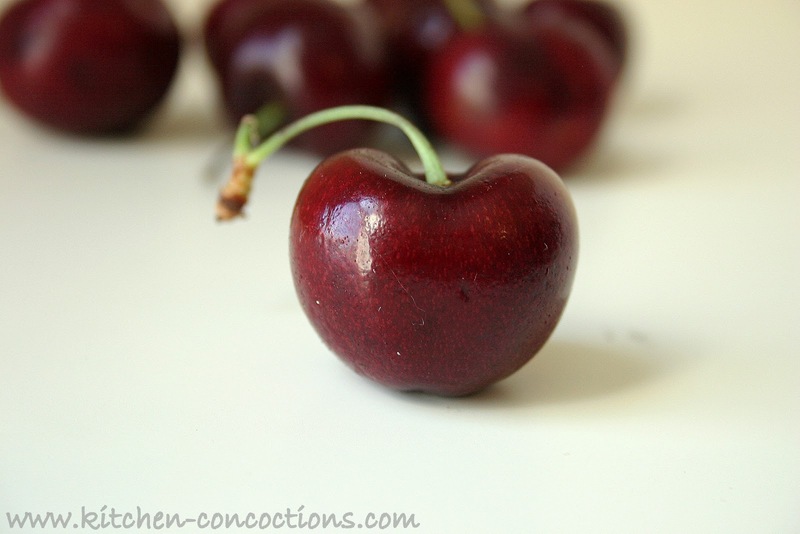 When choosing cherries, look for ones with the stems attached as this helps them last longer. Cherry stems should be green in color and snap off easily. 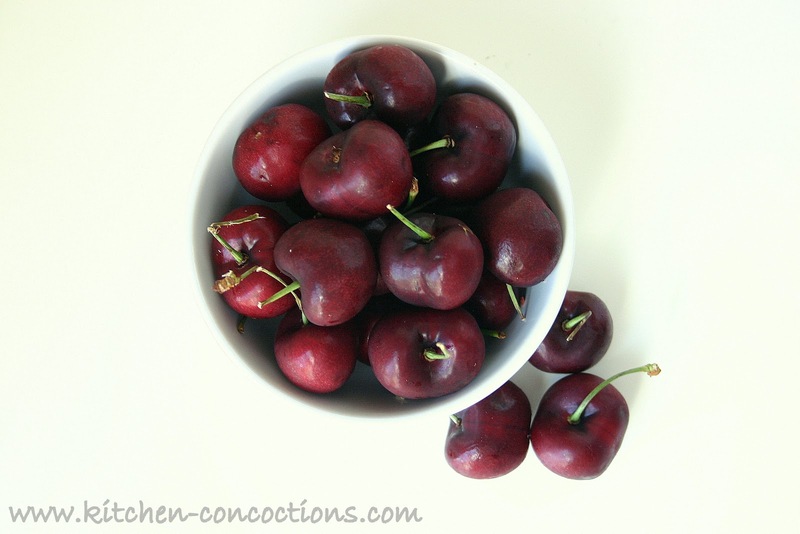 Fresh cherries should be plump and firm, brightly colored, with smooth, shiny skins. 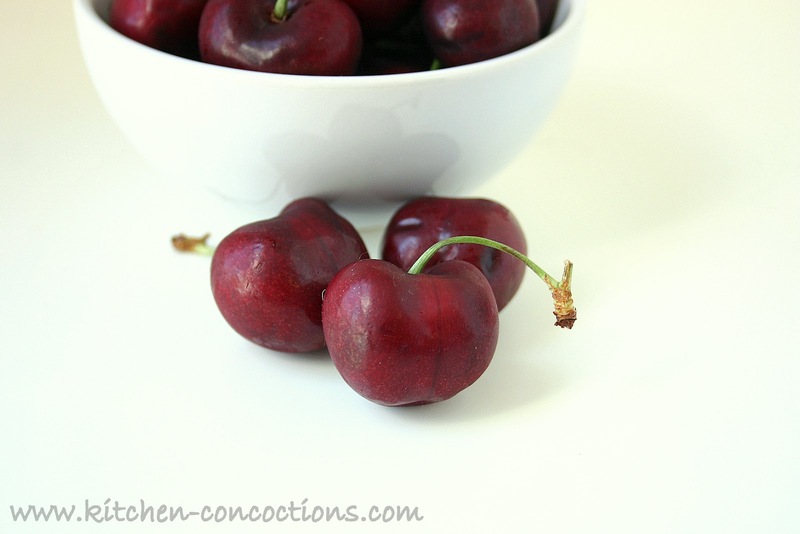 Avoid cherries that are wrinkled, discolored or soft when squeezed slightly. With cherry season winding down, be sure a gobble up as many cherries as possible over the next few weeks! These cherry recipes from around the web make cherry consumption easy!